What can I say? Cappello, D’Acquisto, Gibbons, Grasso. Guttadaro, Humphries, Kaczor, Kevorkian, Knuckles, Levan, Mancuso, Moulton, Rodriguez, Saverese, Scott, Siano, Better Days, The Continental Baths, Flamingo, The Gallery, The Ice Palace, Le Jardin, The Limelight, The Loft, Paradise Garage, The Sanctuary, The Sandpiper, Studio 54, The Tamburlaine, Tenth Floor, 12 West, The Warehouse, etc, etc, etc. It’s all in here, the people and places (plus, of course, the music) that shaped an entire culture. For anyone interested in getting the in-depth lowdown on how the Disco decade unfolded, ‘Love Saves The Day’ is an absolute must. Meticulously researched by its author, Tim Lawrence, this is a veritable history lesson, which includes material from over three hundred interviews plus select discographies from a whole host of DJ’s. From its underground origins to its mainstream explosion, overkill and eventual backlash, Disco has never been more thoroughly (and lovingly) dissected. The heartbeat of the book is provided by its central figure, David Mancuso, who gave the project his full support and blessing. Mancuso’s Loft parties were a major influence on so many of the New York pioneers, with his ‘Love Saves The Day’ Valentine’s gathering in 1970 giving the book its title and the story its starting point. Suffice to say that without his considerable contribution to the evolution of what we now call club culture, its whole development would have been altogether different. 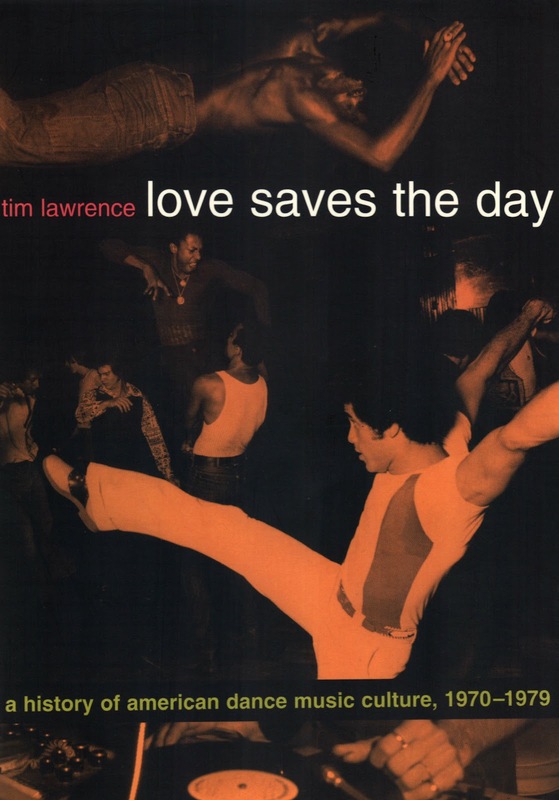 Lawrence’s much anticipated follow up to ‘Love Saves The Day’ will now be published in 2014. ‘Life And Death On The New York Dance Floor’ will highlight the hybrid years of 1980-1983, when the foundations were laid for the oncoming Hip Hop, House and Techno directions ahead. Sounds like a good read, I don’t read often and I think this would be really interesting and useful. Saw your last post on Louder Than War, hadn’t realised it was taken from here! One of my mates spotted it, really liked it and said it reminded them of me; good to here that your excellent writing is getting some reach! 🙂 What happened to Living To Music this month? I missed it…..